After eight months and about $1 million, the Church of the Multiplication of the Loaves and Fishes in Tabgha on the Sea of Galilee has finally been renovated. The Church of the Loaves and Fish has reopened (Bettina & Dominique Zygmont/Flickr). LOS ANGELES, CA (Catholic Online) - Two of the church's immaculate rooms were badly vandalized by fire in June 2015. The three Jewish extremists, who were responsible for the graffiti and arson attack, were indicted but have yet to be sentenced. Their actions were termed a hate crime against Israel's minority community, prompting Christians in the region to stand firm together. The church, which is the site believed to be where Christ performed the miracle of multiplying loaves of bread and fish to feed the masses, was finally opened after two years of renovations. 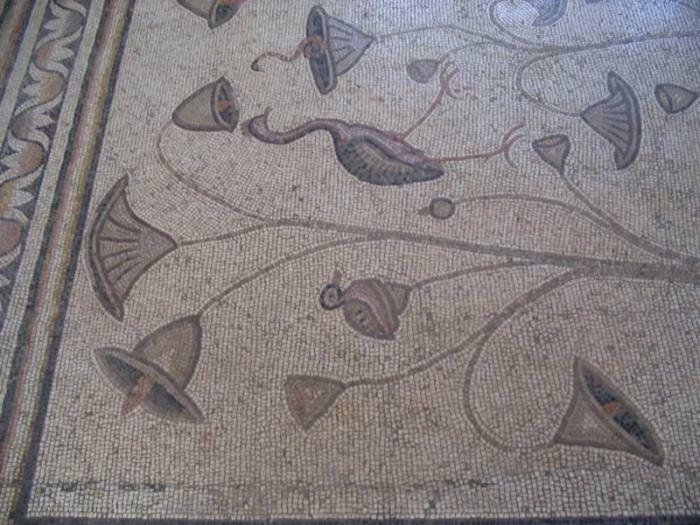 The walls had been covered with graffiti and fires had destroyed much of the church's beautiful mosaic floors, which were created some time in the 5th century. President Reuvan Rivlin and his wife attended the church's first special Mass on Sunday, where he stated: "We stand up for religious freedom because, as a people, we know very well what it means to suffer religious persecution. The famous floor mosaic of the church dates back tot he 5th century (BibleWalks). "And we stand up for religious freedom because we are a democratic state - who believe in the rights for everyone to worship God according to their belief. "The last time I was here, we stood together and looked at the burnt walls and the terrible graffiti. Today, I visit here again and see the renewal of this historic, special, and holy place. "I want to thank all the people who worked hard to restore this place, and to say clearly; that hate cannot win....We are all equal before God, and equal before the law." When the attack occurred, there was extensive damage to the building but, luckily, much survived. Heinz Thiel, the secretary general of the German Association of the Holy Land, which owns the church, reported about $394,000 of the reconstruction was donated by Israel and, though the amount was less than they hoped, the church was able to complete its renovations within two years.